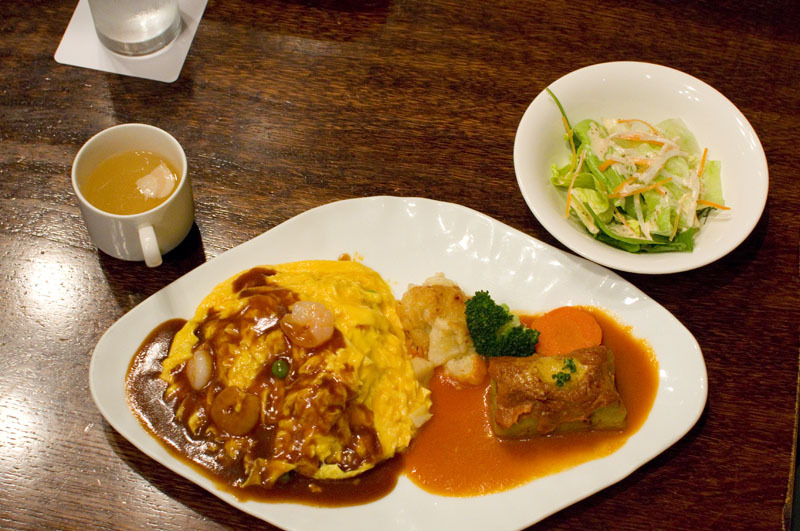 Mantenboshi serves a full range of classic and updated yoshoku dishes, including a fancy version of omu-rice - an omelette filled with fried rice flavored with ketchup, as the English-language menu helpfully explains. The fried-rice filling is dotted with bits of crunchy vegetables, sweet green peas and very flavorful mushrooms, while the omelette casing is topped with a savory brown sauce and big shrimps that wouldn't be out of place in a Chinese stir-fry. It all adds up a surprisingly exotic flavor combination - certainly not your run-of-the-mill omelette. The omu-rice is Y1150 at lunchtime, or you can get it as half of a "one plate mix" (Y2000), which also includes your choice of beef curry, fried prawn, stuffed cabbage, crab croquettes, seafood pilaf, Hamburg steak, or fried oysters in season. There are several other lunch specials, served all afternoon until 5pm. 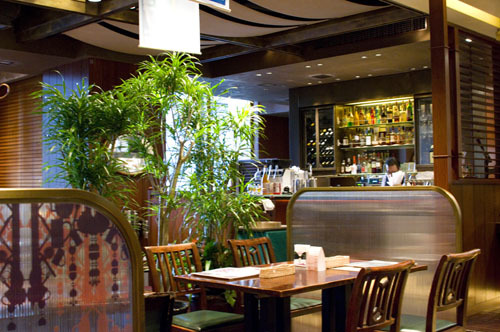 Chiyoda-ku, Marunouchi 2-4-1, Marunouchi Bldg. 5F.